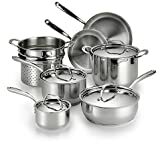 Getting the best cookware requires taking into consideration a lot of factors. These factors range from just the functionality of the product to the designing, outlook, durability, and the price itself. Going through all these factors typically proves to be quite a hard task to most buyers. This is you as a buyer may sometimes end up just settling for any cookware without reviewing it appropriately and then after the long run you end up regretting the buy. 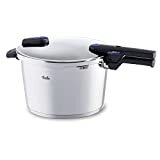 This is why we have taken the initiative to review the Fissler Stainless Steel Cookware Review 084 363 06 000 Original Pro Collection 8-Piece Set for you tell you why exactly this is the best product that you need. Fissler 084 363 06 000 Original Pro Collection 8-Piece Set. 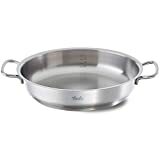 The Fissler 084 363 06 000 Original come with a well – designed high-quality Cookstar base. This, therefore, means that the base of this item will allow it to be used with different types of heating sources. Whether it’s the induction range, electric cooker or gas the Fissler Pro Collection cookware will still be able to perform perfectly without damaging its base. With this collection, you, therefore, do not have any limitations pertaining the source of heat that you are to use. The designing of this base is another important feature that makes this collection be among the best in the market. This is because the base was carefully designed to ensure that there is quick, easy and even distribution of heat down there. Your food will hence be able to cook evenly and much faster to give you an excellent meal. These Fissler Collection items are made with a high quality made in Germany steel making it very durable and hence reliable. With this steel, you can always rely on these products to offer you great services for a very long time without breaking or causing any defects. This stainless steel together with a core of aluminum at the base also ensures that the cookware can withstand extreme temperatures when you are using it. It helps to keep the base of its pans properly attached and hence you will never experience cases where the base are separating off. Manufacturers of the Fissler Original Pro Collection 8-Piece Set also took significant measures to ensure that the handles were well manufactured to the convenience of the user. This involved making sure that the handles are tight enough and covering them with a material that will keep them cool even when you are cooking. With these handles, you will therefore never have to go through the struggle of using the always burning oven mitts. The handles have also been properly welded sideways, and this particular designing has helped to get rid of rivets. This has helped to ensure that there are no food particles being trapped hence the item is more hygienic. 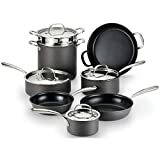 Thanks to the condensate plus technique, the tight fitting lids of this cookware help to ensure that you can use just little amount of water when cooking. This is because the cover ensures that no moisture is escaping, but instead, the lid traps it, and then the moist slides into the center of the lid before dropping back down to your food again! The upper covering material of the surface of this cookware is a dishwasher safe material that makes it hygienic while also making cleaning be an easy task. With this collection, you can, therefore, be assured that cleaning will never be an issue for you. Its perfect designing also helps to ensure that all areas of the item are readily accessible to be cleaned. Q. How hygienic is this collection? A. The cookware collection allows for highest levels of hygiene thanks to its dishwasher safe material. Its sleek designing will also enable you to be able to clean all parts of the item quickly with so much ease. From the above review, you can, therefore, see why the Fissler 084 363 06 000 Original Pro Collection 8-Piece Set is arguably the best of its type in the market right now. These features and customer reviews further help to prove why you this collection is your best option. Go ahead and make your order right now and we can guarantee you that its performance will be so much impressive.